View from the summit of White Cap Mountain, west towards West Peak and Gulf Hagas Mountain. 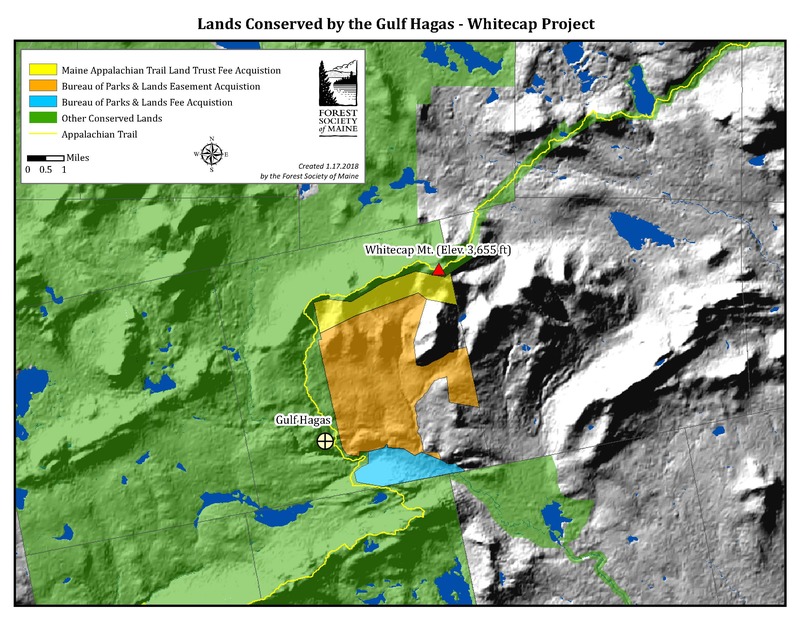 Gulf Hagas Whitecap is a Forest Society of Maine project of approximately 10,000 acres which protects approximately eleven miles of the A.T. corridor. 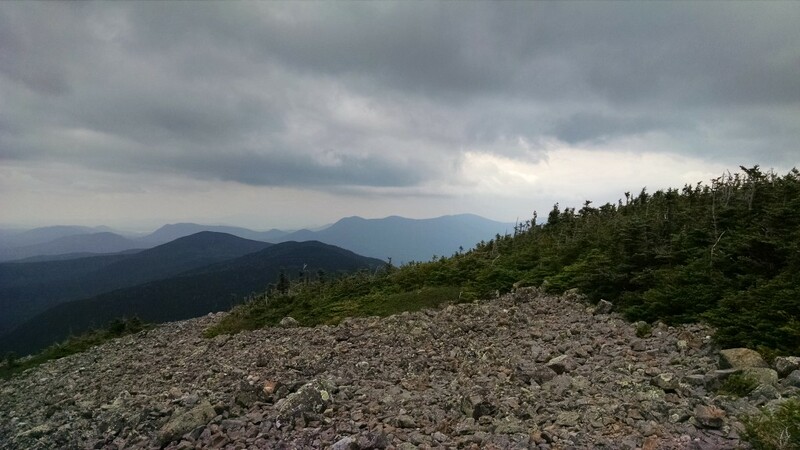 As part of the project, Maine Appalachian Trail Land Trust acquired the land along the A.T. just to the south of White Cap Mountain, the highest peak in the One Hundred Mile Wilderness. Map of the Gulf Hagas Whitecap project. This three-part project encompasses sustainably managed forest, high elevation lands, and the watersheds of three major tributaries that flow into the West Branch of the Pleasant River.